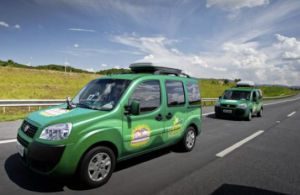 Car fuelled by social media…literally! 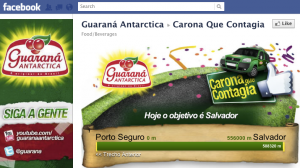 Amazing social media initiative from Brazil soft drinks brand, Guarana Antarctica, that involves fuelling a car on a journey from Sao Paolo to a party in Salvador, using social media interactions. If they don’t get enough interactions for the daily miles required, a system that connects the app to the vehicle ignition will prevent the car from continuing!! 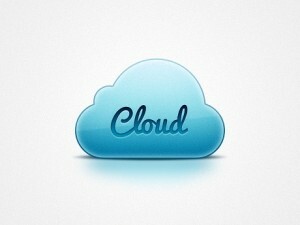 Great way to fuel a real world activity using social media…quite literally ..fuelling ! Renting a title through the app costs 30 Facebook credits or $3. Facebook users can play films on their TV, computer, smartphone, Google TV or iPad. 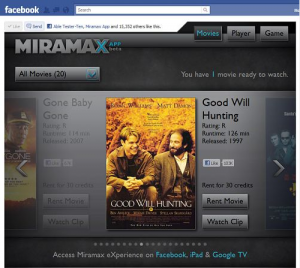 The Miramax CEO says that the Miramax app aims to offer consumers a great user experience by watching movie clips, feature length films, playing games and then sharing the experience with their friends in Facebook. 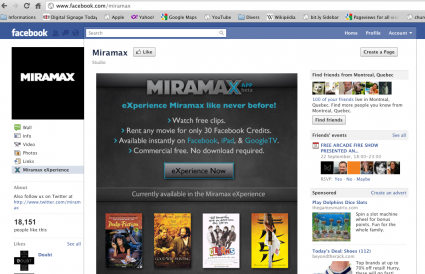 Although the Miramax Facebook page has only approx 18 000 fans, their internal data estimates that approx 50 millions users in Facebook mention or interact with a Miramax property. 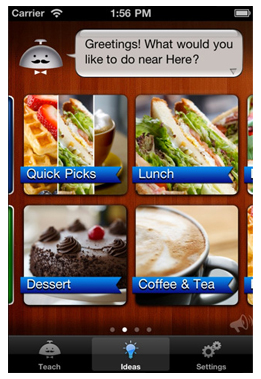 Consequently, their 18 month goal is to reach 150 million Facebook users !! The CEO also stated that their ultimate goal is to let users “buy films and store them in their own cloud-based digital locker – so they can access the content anywhere they want, across ALL devices.” The first step in that goal is the release of this App with movie rental capabilities. This is certainly the multi channel future of film, music and game distribution and consumption. Facebook does already have deals with other movie studios like Warner Bros., Paramount and Universal — though its deal with Miramax is its largest yet. In fact Warner Brothers began offering movie rentals on individual Facebook fan pages from March 2011. Facebook is made for this! Clearly the high reaching, entertaining, user friendly and shareable functionality of Facebook is made for movie, music and game distribution. However, whether Facebook will transform towards being a video destination site, from a largely photo based site, is unlikely in my opinion. 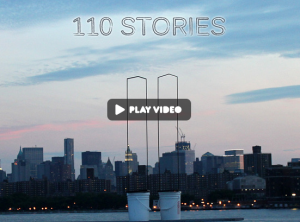 The development team of ‘Zero Innovates’ has created an extraordinary app to commemorate the 10th anniversary of the 9/11 terrorist attacks on the Twin Towers in New York City. In 21 days, they raised the $25 000 required to implement this highly innovative, ‘not for profit’ initiative. For those people in the vicinity of New York City, they can activate the app on their iPhone, guiding them towards the original location of the Twin Towers prior to 9/11. 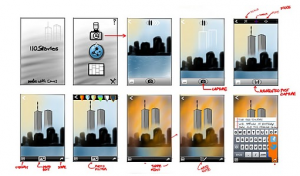 Once properly oriented, augmented reality kicks in, showing their silhouette in a pencil-like outline during the day and in shimmering light at night. 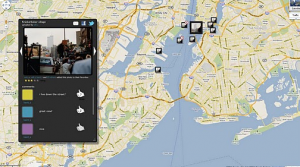 The app also allows New Yorkers to simply tell their stories about New York, contextualized around a view of the Twin Towers, magnified by the power of crowd-sourcing. A further real world phase is planned for the 110 stories project in the coming months. At 110 locations around the NY metropolitan area, there will be identical benches, in locations from which you could once see the Towers. The purpose of each installation is simple – create a structure that, when viewed from the bench, visually places the outline of the Towers, where they once stood, in the right apparent size. 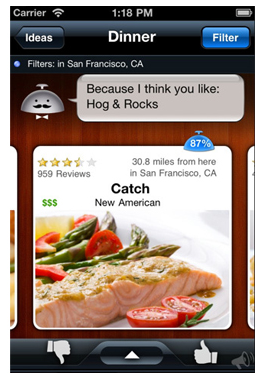 Its the real-world cousin of the app. I remember having visited the observation deck of the World Trade Centre back in 1991 whilst travelling, 10 years before the terrorist attacks. 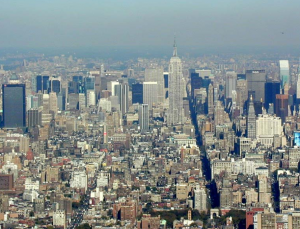 It was a strange feeling on the day of the attacks, looking at an old photo that I had taken from the observation deck of the WTC up towards the Empire State Building, a view that I knew no longer existed since the collapse of the Towers. See below. 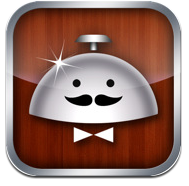 I can only imagine how poignant an app like this must be for true New Yorkers. A completely pointless but weirdly entertaining online gizmo (and app), Dance Writer, that allows you type any words, that the lady will then dance using her body to make the letter shape that you typed. Try it by clicking on the image above and typing a brief sentence in the field in the right hand corner, then see her weave her mobile semantic magic! Well, kind of ! 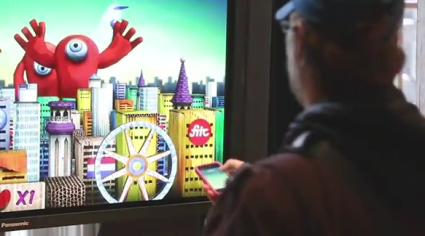 Technology meets Art – isn’t that what advertising in 2011 is all about ?! !